Leave it to the Orange County Register to get it wrong. The historically conservative paper has been, if not a supporter of bicycling, a fair voice in reporting on bicycling issues behind the Orange Curtain. And they’ve largely lifted their paywall when it comes to reporting on bicycling collisions, allowing subscribers and casual readers alike to get the details we need to stay safe and informed. But evidently, AB 1371, the state’s new three-foot law, went about a yard beyond their comfort zone. In a remarkably knee-jerk auto-centric editorial, the paper can’t conceive of how any driver could manage to give a rider a three-foot buffer without creating a calamitous situation. Never mind that the Orange County is famous — some might say notorious — for its wide, highway-like streets that leave plenty of room to pass without even slowing down. Or that drivers have always been required to pass cyclists at a safe distance. Which they evidently would define as anything that does not actually cause contact with the bike or its rider. Sort of like a lot of drivers in the county, from what I’m told. And instead of expecting drivers to operate their vehicles safely and simply change lanes to pass a bike rider, they trot out the usual tired clichés about scofflaw cyclists — as if the bad behavior of a few riders justifies driving dangerously around them or anyone else. Nor can they conceive of bikes as a solution to the area’s transportation ills. 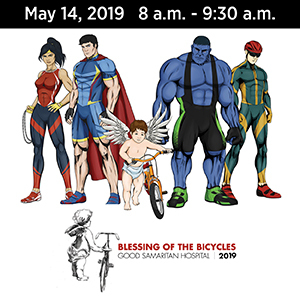 Even though many riders — undoubtedly including a number of their readers — already ride to work, school and shopping on a regular basis. To them, bicycling is simply a recreational activity that interferes with the region’s vital transportation needs. “Drivers will figure it out,” editorialized the Los Angeles Times, but drivers shouldn’t have to choose between following the law and using the roads for the purpose for which they were intended. The LA Times gets it. The Register, on the other hand, could use a boost into the current century. And a lesson in exactly who and what our roads are intended for — which is moving people, goods and services. Thanks to Frank Peters for the heads-up. Meanwhile, OC cyclist Matt Kelley offers his own response to the Register’s misguided editorial. Editor: I agree that AB 1371 is a poorly written law. It is unenforceable; and vague, unenforceable laws create a societal ignorance and apathy toward the law. And I can’t excuse poor cycling behavior by my fellow cyclists. But, an honest observer must also acknowledge the reasons for some of the behaviors that cyclists exhibit. Riding on the sidewalk is legal in California; except when specifically prohibited – which doesn’t excuse operating a bicycle in a dangerous fashion to pedestrians. Many cyclists ride on sidewalks because it is a rational response to the great many carelessly incompetent motorists that endanger cyclists. Cyclists riding on streets with on-street parking are directed to ride outside of the “door zone” in order to avoid dangerous accidents with careless motorists opening doors without checking for oncoming traffic. While we’ve all seen examples of inconsiderate cycling, how many examples do we see from motorists? Laws like AB1371 are unnecessary if all road users are acknowledged as being legitimate users of a roadway – and in fact that is the crucial question; who are the roads for? And if the answer is for motorists, cyclists and pedestrians, why is our infrastructure designed and built in so many cases only for the safe use by cars? The East Coast bikelash beat goes on in the wake of last week’s Central Park collision that resulted in the death of a pedestrian. A writer for the New Yorker bemoans the self-righteousness of the city’s overly aggressive scofflaw cyclists — except for him, of course — while recalling that time he was hit by a bike. All my bikes combined have killed fewer people than Ted Kennedy’s car. Meanwhile, a more rational writer says bad bicyclist behavior may be memorable, in part because it’s rare. The biker who flips the bird is held up as an example; the queue waiting at the light is not. Polaroid jumps into the action cam market with a cute little cube. It may not offer the picture quality of a GoPro, but at $99, it opens the door to capturing their rides for many more people. 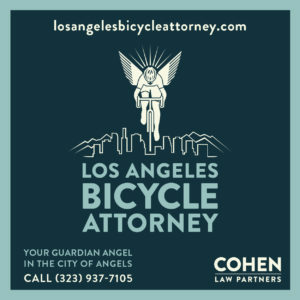 And offers the insurance every rider needs against anti-bike bias to prove what really happened in any collision or traffic dispute. Councilmember Gil Cedillo’s staff presents their alternative (pdf) to the planned, approved and funded road diet and bike lanes on North Figueroa at the Arroyo Seco Neighborhood Council’s Ad Hoc Transportation Committee on Thursday. Streetsblog examines the latest census data on bike commuting in Los Angeles, which has a 1.2% mode share — a 33% increase over 2010. I’m not a fan of census data, though, as it fails to count the many people who use their bikes for transportation, but not riding to work; for instance, I work at home, but regularly ride my bike to meetings and errands. 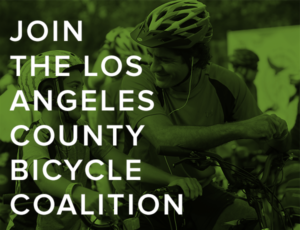 Streetsblog and Santa Monica Next follow up on their interview with Sheila Kuehl by talking to her competition for County Supervisor, Bobby Shriver, who says he’s a bicyclist himself. The US Department of Transportation will issue their own manual on how to build protected bikeways; unfortunately, a narrowly written new law permitting protected bikeways in California will prohibit its use unless it’s adopted by Caltrans or NACTO. Turns out Beyoncé isn’t the only performer who bikes to her shows, as Katy Perry tweets that she rode 22 miles from Palo Alto to last night’s performance in San Jose. Caught on video: A cyclist takes to San Francisco’s heavily trafficked Bay Bridge. And yes, bikes are banned from the bridge, other than a separated bikeway that only goes part way. REI becomes the exclusive US retailer for the German Ghost bicycle brand — neglecting that ghost bikes mean something very different here. And good luck defending that copyright. Grist offers advice on what to do if you’re hit by a car; you can find my advice here. Adventure Cycling lists this year’s favorite bicycle touring blogs. A new study says users of active transportation — aka bicyclists and pedestrians — are the happiest commuters. But you knew that, right? A major flap in the world of bike journalism, as the Bikerumor website is accused of plagiarism. And not for the first time. The five best fall bike rides in Colorado; I’ve done both the Cache la Poudre and Peak to Peak rides many times, back in the days when a motorist was more likely to give you a friendly wave than run you off the road. American cycling legend Dale Stetina is still struggling to recover from the near collision that almost killed him, as the Colorado driver responsible enters a guilty plea. 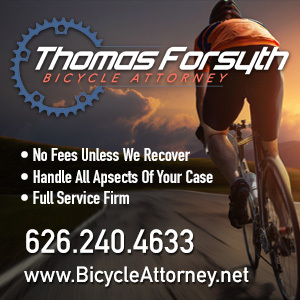 Once again, we send a bike riding visitor to the US back to his home country to recover; this time it’s a deaf and blind cyclist from Norway who was injured in a collision while riding tandem in Iowa. Bicycling looks at the world’s first underground mountain bike park in Louisville, KY.
Around the world in 365 days and 11,200 miles by bike. Even stunt bike star Danny MacAskill is the victim of a bike thief when his is stolen in Glasgow. Shimano agrees to work for bike advocacy in Europe; every bike company should support advocacy efforts wherever they do business. A week after Jens Voigt set a new hour record, Bradley Wiggins announced plans to go after it as well. A poster for a class on how to steal bikes actually leads to a vasectomy clinic; no, I don’t get it either. Following up on a recent item, the Bieb has reportedly given up drinking and partying for bicycling, tennis and clean living. Yeah, I’m not holding my breath. And Budweiser offers a surprisingly subtle, but hard-hitting call to avoid drunk driving. Thanks to David Wolfberg for his generous contribution to support BikinginLA; his gift came as a very pleasant birthday surprise.